The U.S. handbag maker is plunking down $2.4 bln for Kate Spade, a figure not justified strictly by the numbers. But Coach’s owners like the move to a multibrand portfolio, which has worked for LVMH and Kering. Mature luxury marques can no longer expect to succeed on their own. People walk past a Coach store on Madison Avenue in New York, January 23, 2013. 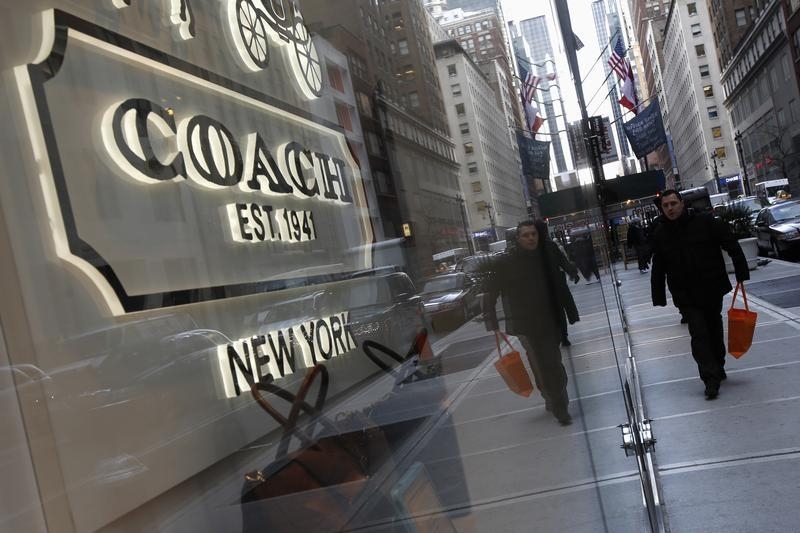 Coach Inc on Wednesday reported weak holiday-quarter results and unveiled a new strategy for shoes and clothing, spooking investors with the notion that the days of strong demand for its premium leather handbags may be numbered. Luxury handbag maker Coach said on May 8 it would buy rival Kate Spade for $18.50 a share in cash, in a deal totaling $2.4 billion. The transaction represents a 27.5 percent premium to Kate Spade's share price as of Dec. 27, 2016, before speculation about a sale emerged.